Hope you all spent a great weekend and are ready for a long week of French idioms. 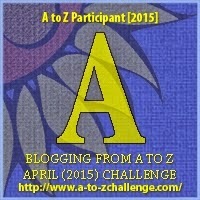 From Monday to Saturday, I will provide an expression, covering the alphabet from E to J. As always, thank you for your comments and for adding your own idioms to mine. I’m glad if you learn something you didn’t know, but I’m as glad to learn from you, too. Go to Hell remains somehow controversial in the USA and yet widely used, especially in the movie industry. Envoyer paître is a French expression from the middle of the 15th century, when the verb paître had a religious connotation. People’s salvation was associated with God’s pastures where the soul was fed. In later years, the expression evolved, based on the tradition to send cows to graze in far away pastures, and took then a negative meaning. Envoyer paître simply means to get rid of someone in a sudden way. There are, as often in the French language, some variants to the expression. For the French here or anyone who speaks some French: envoyer aux pelotes, envoyer ballader, envoyer bouler. Vous en connaissez d’autres?